Ireland’s first Ambassador to New Zealand, Peter Ryan, has been appointed this week at a ceremony at the Government House in Wellington. The ceremony included a guard of honour and pōwhiri, and the Ambassador’s opening remarks were delivered in Irish and te reo Māori. 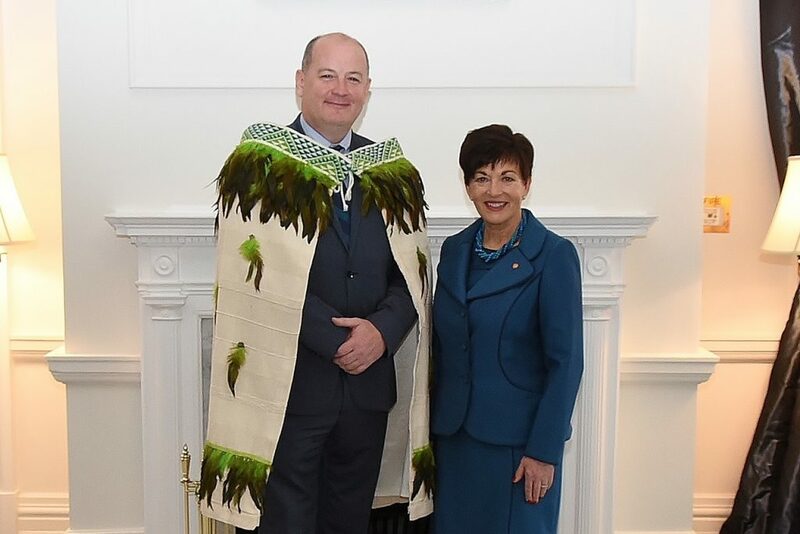 To show respect for the traditional culture of New Zealand, Ambassador Ryan wore a beautiful korowai supplied by one of the elders of the Ngati Kahungunu tribe of Hawkes Bay. The opening of the new Embassy in Wellington was first announced by Irish President Michael D. Higgins during his visit to New Zealand in late 2017. The new Irish embassy will be in Wellington, the nation’s capital. Also, an honorary consulate will continue to function in Auckland. Ireland has long had diplomatic relations with New Zealand but these were handled out of the Irish Embassy in the Australian capital Canberra. We look forward to this new relationship and what he has in store for both Irish and people from New Zealand! If New Zealand is calling your name we’ve got a great Teaching in New Zealand programme available, and we’ve also got loads of talks on about it too so make sure you don’t miss them! We also do a New Zealand Working Holiday Visa!